After revising the criteria to sell the historic county jail, county commissioners revised the bidding criteria to better protect the historic nature of the building that was constructed in 1878 at a cost of $25,845. It was the third jail built in Delaware County. Currently, the historic jail is home to the county’s law library and the office of the Ohio Fifth District Court of Appeals. 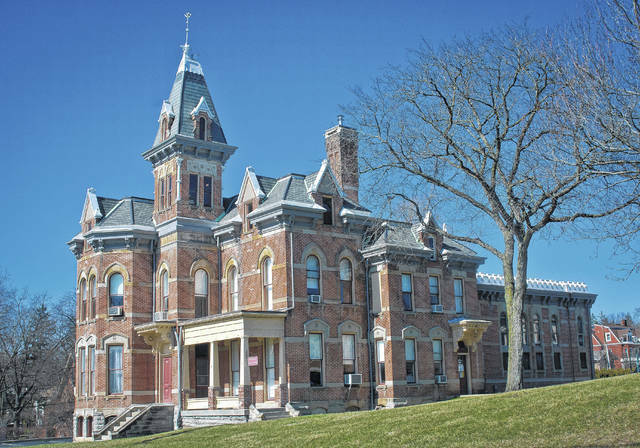 Delaware County Commissioners have approved a legal notice for sale and the extension of an invitation for bids on Delaware County’s historic jail and former sheriff’s home located at 20 W. Central Ave., Delaware. The property had originally been placed on the market in February, but the board rejected all bids in May to revise the bidding criteria. Commissioner Gary Merrell emphasized that the building is a large part of Delaware County’s history and that it’s important the structure remains as close to the original facade as possible. “Whatever direction it takes, it’s important to us,” he said. After the bids were rejected, Cox and Mango said they were still interested in purchasing the historic jail for their law offices, but they would need to wait to see what the new criteria was before entering a new bid. The second bid was for $10,000 from Roxanne Amidon, owner of Amidonian on West Winter Street, Delaware. Aric Hochstettler, assistant prosecuting attorney, told the commissioners in May that the recommendation was to reject the bids and redo the criteria to include everything that had come forward since the original publication of the notice. “When the advertisement was put together, it was just for a price. Both bidders that have responded have provided additional information that the commissioners would like to take into account but are not in the position legally to negotiate on unannounced criteria,” he said. Commissioner Jeff Benton also agreed with rejecting the bids and redefining the process in May: “I also want to reiterate that we really do want to protect the building, as well as price and use, and so on,” he said at the time. For complete details, an Invitation to Bid Packet can be found at https://co.delaware.oh.us/wp-content/uploads/2018/01/Old-Jail-ITB-AIH-FINAL-7-18-18.pdf. This entry was tagged D. Anthony Botkin, DelawareCounty Commissioners, Gary Merrell, Historic Jail, Jeff Benton, Jon Melvin, Old Jail. Bookmark the permalink.